My Dental Office Received a Negative Review! Now What? So you logged into Yelp, Google+ or another review site and found that somebody has left bad review on your listing. This is a common occurrence which every dentist would experience at least once in their professional career. But what do you do next? There is no need to panic because this post addresses that exact question. The most obvious thing you can do is not do anything. 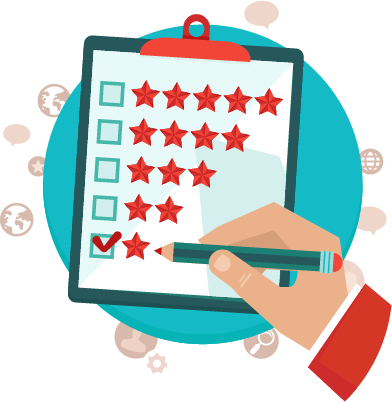 If you already have dozens of positive review on your profile, a couple of negative reviews will not affect your overall rating. In fact they may even make your rating more legitimate. Let’s be honest, it is rare for a dental office to get perfect 5 star rating from all its patients. Thus if you already have a high number of positive reviews, you can ignore a few bad reviews. They will make your ratings appear more natural and legitimate to a prospective dental patient. If you believe the review is unwarranted, malicious or mistaken, you can request the website authorities to take manual action. Most local business directories allow businesses to flag suspicious reviews posted on their profile. They may request the review poster for proof of payment like a billing receipt and if the review was found to be fake, you will be able to have it removed from your listing. This is not easy as it sounds because the process can take a long and is often unsuccessful. However, if you have the time and patience to go back and forth with the website authorities, you can get fake negative reviews removed. Replying to negative reviews correctly can neutralize the damage done by them. At the same time, a bad reply can make you look defensive and immature. Some patients are genuinely angry or hurt and responding to their review no matter how politely could provoke them even further. They may take your response personal and become vengeful – posting bad reviews on your other local listings. Ignoring such reviews is recommended. The first thing you must do in your reply is to acknowledge the problem. Whether it was the waiting time, cancelled appointment, billing issue, quality of dental work or anything else, make sure you identify the problem and explain how your dental office minimizes such incidents. Next try to reconcile the with the patient by suggesting a full/partial refund or free/discounted corrective treatment or a free consultation. Try to keep your reply brief and too the point using a polite, diplomatic tone. The aim should be to take the issue offline so that you can resolve the issue without heading into a back and forth argument on your local listing. 3 Online Marketing Ideas to Get New Dental Patients Fast!